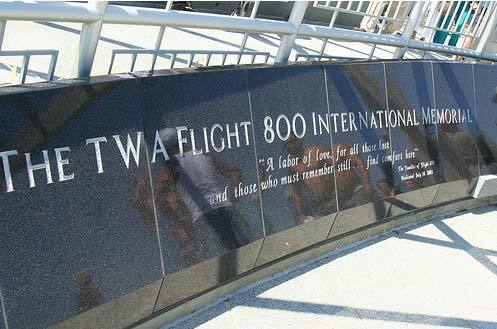 September 11th will always be an emotional challenge for me. Since 2001, television or any indulgence of media is avoided on this day because the images that are etched in my long term memory do not need a sensational nudge by a lip-glossed news anchor, nor does my sympathy gauge need to see professional photographs of New York City memorials in newspapers or magazines. This day is personal. Tragedy is personal. Did my family member or friends lose life in this terrorist disaster? No. But this catastrophe affected my nation, my America, my homeland, my liberty, and my freedom. This airborne act that lacked courage affected my psyche, my sense of safety, my anxiety level, my spirit of hope. Most important, this waste of land, life, and love reminds me of Flight 800 which exploded off the Long Island coast in 1996. That flight was enroute from the JFK airport to Paris, France. My roommate Eric Harkness – who was the most outstanding human being ever – perished midair. It was a fate worse than death because every Flight Attendant, including yours truly, was envious that Eric was selected to work that flight. The more painstaking aspect was that he was scheduled to “dead head” the flight over and work the flight back. Dead head is an industry term which means you fly as an extra capacity crew member and enjoy all the perks. As we all would on any working flight/trip, Eric would be given his own hotel room (in Paris), enjoy the Louvre, gaze at the Eiffel Tower, and drink Chateau St. Michel. We were all pissed over his stinking good fortune. Each of us “Fresh out of Flight School Reserves” dreamed of the day some “Sky Hag” senior attendant would be too tired for their seven day Egypt trip, and who would get the assignment? Us! Why was Eric given such Godly favor and/or what random act of “crew scheduling” kindness did he commit that granted him such a vacation? The irony is that Eric’s deadhead resulted in his short lived life’s death. He never saw New York from 33,000 feet high, the city lights of Paris were dismissed from his future, and Europe missed meeting one of New York’s best. It was a horrible, sad, solemn, unbelievable tragedy that no one on planet earth should endure or survive. While Eric clearly was the victim, as his roommate, the misery of watching inaccurate news reports on television in a cramped, Kew Gardens apartment with more than 30 flight attendants and pilots from every representative airline imaginable belonged to no one more than it did to me. A full decade and six years have passed since we all flew to his memorial in Ohio and poetic words fell from my lips in a eulogy that also should not have been owned by me. God bless the chosen; we are always envied for the wrong reasons. For this reason and more, the events of 9/11 shake my core and regardless of which anniversary year reigns as the most significant, my memory always travels back to 1996 and life in New York. People are not supposed to fly to Paris, France and die in the air. People are not supposed to travel on subways from New York boroughs, ride elevators up 30 floors in a tower and then get seared by combustible gas and fire. Few were given the opportunity to say goodbye to their loved ones, most never saw the danger coming, and none made it home to break bread with their loved ones or tuck their children in for bed. There are no winners in terrorist acts. While this event happened on 911, my eyes will forever look at those numerics and think: Nine One No-one Won. The tragedies of 9/11 are never to be forgotten, the lives that were lost, the families broken and the unions that were formed. I don’t personally know anyone that lost their life that day, but as a human being, the images alone leave me with feelings of anger, sadness and confusion. I think your story of the victims not only of 9/11, but also of your personal loss of 96′ should be any eye openener for us all to appreciate life in it’s entirety. To never take one another for granted and to love hard and have a forgiving spirit. Thanks Professor D for sharing! You’re welcome Andrea. Sharing is caring and hopefully, eyes world-wide are open and we will remain a stable and sober nation. You are so right, we must give thanks everyday, because we never know what tomorrow will bring. But, we must also move forward in a positive direction because God wants us to go through the storm in a content state to prove that there is a God, and for whatever his reasons we must not doubt them or ask why, and that is hard for me..There are times, and those times are daily that I look up and ask why Lord, why??? ?Keep your eyes focused, you heart is in the right place. Thanks for your words of encouragement. It seems I’m late as usual, but I wanted to express how deeply your article hit home. Remembering being at work when the first reports came. I left work to go to my young children at school, only to find them in a half abandons school scared to death. My youngest ran to me with tears of fear in his eyes. They had not explained to the children why his (and many other) teachers had abandoned them. Having already lived through other tragedies and trying to comfort my own children was a relief. Realizing that although we were so lucky to be able to hold one another in that moment. Knowing loss of a normal death or a victim of murder was nothing compared to waiting in emotional agony for news of your loved ones fate. Praying for something. Praying for them. Nothing in my experience could equal the horrific horror the people involved were struggling daily to live through. It was only through a community full of strength and love (and country); americans full of empathy and generousity have the victims of this vicious act of terrorism had some solice. We as americans were not emotionally prepared for such a devastation, we are so blessed each day that we are spared such experience. But I also thank God that we are left to pass on all we have learned. Listening is an Act of Love by Dave Isay, has shared a few stories from the victims themselves of disasters. You will never be the same after experiencing the lives of the real people who suffered minute by grusome minute as we watched what little was reported and misreported. Thank you Professor for sharing the story of your fellow flight attendant. I am truly sorry for your loss but grateful you are here to tell the history of your friend, in that he lives on. When you shared with us he too will live a little in all of us as well. I’m sorry about the lost of your roommate and I see that you are affected twice as hard and I know that he will always be remembered through you and everyone that knew him. I can’t imagine how hard it was for you after you joked about what he did to get the priviledge to work the flight. I love the reflection!!!! I just found your blog; I’ve been extremely busy working on a project to do online work from home. Nine One One, Personal Refelection, I’ll never forget that day. I was in my bedroom preparing to leave for work, whenever the first video came over the air, I thought it was some sort of terrible joke. I couldn’t believe my eyes, at that time I worked at the airport. I sat down in my chair, in my living room as I watched the T.V., my heart dropped as it did the day my brother was murdered. I felt so much pain for the ones involved, and the pieces that their families were about to have to start putting back together. I felt anger, sadness, hopelessness, betrayal, guilt, shame and most of all, that we had been targeted, and our defense allowed this to happen to us. I have mixed emotions of this day, a part of me believes the government allowed this to happen. It is sad the world that we live in is ruled by the government the way it is. It seems whenever they want something done, they go to whatever extreme to carry it out. 911 is a day I’ll never forget, and my heart will always be with the ones involved, I know from first hand experience, in a blink of an eye your world can change, and it’s not always for the best. 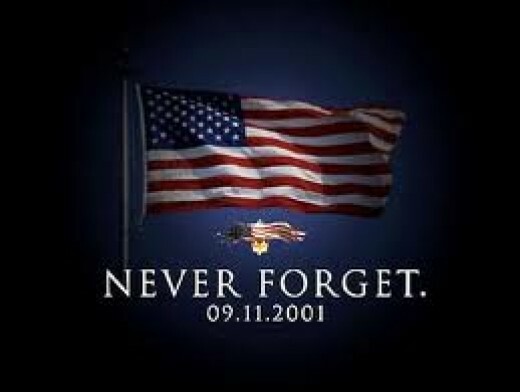 May we always remember the ones involved, their families and friends, and always keep them in our prayers…. I believe my first comments were not posted, looking back at this site, I can’t even myspace, but I would like to share. On 9/11 we were all going along with our lives as status quo. When the first news reports came out I was at work doing someonething I will never remember. It was all I could do to get out of the office to pick up my young school children. When I arrived at the school I found my children safe but scared. About half of the staff had left their post just as I had done. I found my children safe but shaken. My youngest was most affected as his teacher had family in New York and had left abruptly. 9/11 was in a time when Americans were less concerned about politics, especially with people in other places. 9/11 is a reminder of our naivity and our strength. It also was a time many of us thanked God for all that we still had. New York was a wealth of daily hope and horror for the victims and survivors themselves; a community who came to gether, reaching out to one another, still to this day. The nation was a victim but the ones left with no closure, no one to lay to rest hurt the most. Having lost loved ones to violent crime I know that at least that solice was ours. Terrorist tragedies come back to haunt the hearts of the survivors, the missed victims (such as Professor Dickersons Blessing not being on that plane), loved ones who suffer in silence as the world will never be the same. In the case of the flight attendant at least he has someone to share his story and pass it on. His loss and life carried on my others. Victims and their stories are being recorded voluntarily and published in works such as, “Listening is an Act of Love”, by Dave Isay, has interviews of victims of Hurricane Katrina. Disasters, of any kind cause trauma, ever lasting scars. I cried when I read the interview between the men stationed in a water pumping station as they struggled physically and emotionally to keep the pumps moving the storm water out of the city. Feeling their agony as the mechanics finally were gone. With no choice they had to shut the pumps down before the station became another devastation to the community. The anguish they felt at not being able to do more when they had done than humanly possible was gut wrenching to me as a reader. I don’t think I could handle the horror of 9/11 relived despite all the great acts of kindness and generousity I witnessed the people of New York endow on one another. Anyone can throw money on a problem; real HEROES give of themselves. On September 11,2001 their was a bad killing that took in New York and kill almost 20,000 people in New York. When I heard about the killing it was bad and alot of people die from the sence and some could have been my family memb ers or freinds. So fill bad for family and friends that had lost their members in that bad killing in New York. So I don’t know what to if that was one of my family members or freinds so I thanks the lord and his blessing for bring the family this without any problems for them in 12 years so just the lord and jesus christ . As well, I’m also late; however, my deepest sympathy goes out to you. I’m not going to tell you that I know how you feel because I don’t, but one thing that I do know is that God doesn’t make mistakes. He has a plan for all of us, and we might not like the outcome of it ,and yes we may even question Him. We do that because we are human, no man knows the time nor the hour in which we are called, yet if we live our lives right and to the fullest of what God has called us to do than all will be well with us even in death. Woman of God, your friend is in a better place and he is with you at all times in spirit and in mind. I know that your friend was very special to you because you are a lady with great knowledge and it seems as if you chose the people you surround yourself with very carefully and for him to be called your friend says alot. Friends are few and walking the walk of faith it is necessary to feel that way. My prayers are with you continually and your article was truly heart felt.